The Men’s Wilderness Retreat started 42 years ago when a man, who chooses to remain unnamed, began leading groups of men into the Pennsylvania Grand Canyon every second weekend of October. Although the founder no longer speaks at the retreat, leaving this task to leaders like Joe Couch, he continues to remain involved by praying all year round for each man who will attend the retreat. The retreat is free to men who wish to participate. They pay only for food and transportation. 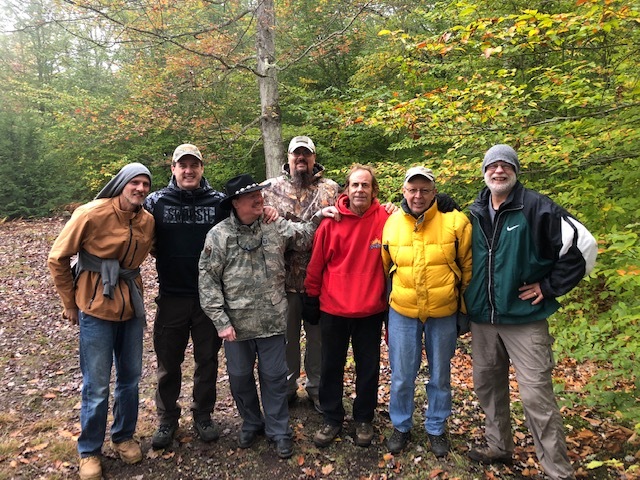 The retreat begins Friday evening and lasts until Sunday morning, all weekend on the mountain top in Wellsboro, Pa., truly in the wilderness. “There is no running water or electricity, no RV’s or campers, only tents and hammocks, and a fire,” says Couch. These men leave behind the familiarity of the TV screens, cell phones, and other luxuries, hoping to minimize distraction and have a weekend of genuine connection with Christ. 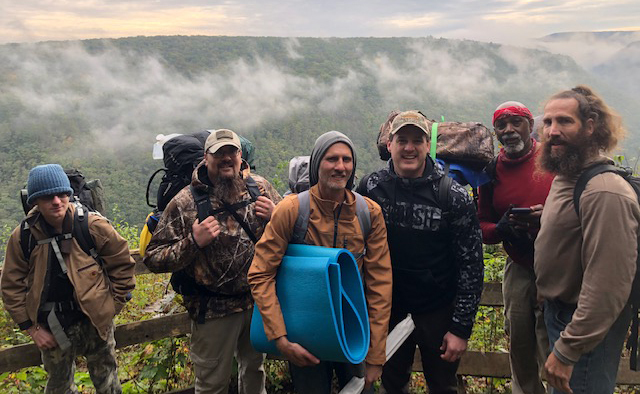 “It is not an easy weekend,” Couch adds, “we camp in all kinds of weather – in the sun, in the rain, in the snow and sleet, in whatever hits us that weekend, and it can change fast that time of year; there are bears and coyotes, it’s camping, it’s not comfortable.” For these men, experiencing the true presence of the Lord, and the fellowship with Christian men is worth sacrificing familiar comforts. During the weekend, at the four worship sessions, all the men gather around a big fire. They sing worship songs, share their struggles, pray for one another’s struggles, and listen to the speaker for that session. Then they spend more time in praise and prayer. These sessions occur on Friday evening, Saturday morning and evening, and Sunday morning. “Saturday afternoon is reserved for meeting alone with God and then hiking the Appalachian trail that is nearby, or just hanging out with the other men,” says Couch. The weekend is all about connecting with God and encouraging one another as Christian men. While Calvert Grace brought seven men to the retreat this year, there were a total of 30 men in attendance. Couch believes the retreat has been successful for so many years because, while other retreats make fun the priority and Jesus the secondary concern, the Men’s Wilderness Retreat does just the opposite. Meeting the living God on the mountain is the priority and only measure of success. “So many of our conferences and retreats in the U.S. are way too comfortable! Comfort is not wrong, but it’s most certainly a distraction,” he says. Most importantly, Couch has seen the Lord work in many different ways over his years attending the retreat. “It’s amazing in a world of technology, what our God can do to set men free, change lives, rescue marriages and heal broken hearts with only His Word, His creation and His people!” he adds. [Connect] Send Pastor Joe Couch a note of encouragement.